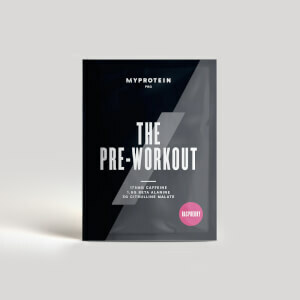 Our Pre-Workout Blend is the perfect mix of coconut water, vitamin C, and BCAAs, with natural caffeine from guarana and green tea extract for a pre-gym energy kick.1 Ideal for any of your workout ambitions, whether you’re tackling leg day or trying to reach your max at a spin class. 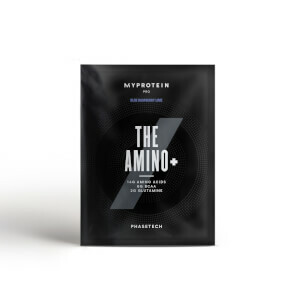 It’s packed with carefully chosen ingredients that help keep you on top of your game,2 as well as keep your metabolism working properly.3 The Pre-Workout Blend also contains 4.2g of BCAAs — these naturally occur in protein, which helps build and repair new muscle,4 important whatever your fitness goals. 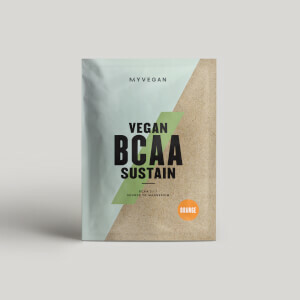 We developed this blend to give you a fruity, tasty shake that’s full of high-quality nutrients to help you achieve your training goals. 1. Caffeine is proven to increase alertness and concentration. Caffeine contributes to an increase in endurance performance. 2. Vitamin C, Vitamin B6 and Iron contribute to the reduction of tiredness and fatigue. To get the best results, simply add 6 small scoops (20g) to 300-400ml of water 30-60 minutes before you work out. To get all your essential vitamins and minerals, take your Pre-Workout Blend alongside our Mutltivitamin, which has been tailored to the female body’s unique requirements. Summer Fruit: Coconut powder (25%), Fructose (23%), Branched Chain Amino Acids (21%) (L Leucine, L Isoleucine, L Valine), Summer Fruit Flavouring (Acid (Citric Acid), Beetroot Juice Powder, Sweetener (Sucralose), Cocoa Powder, Natural Flavouring), L Arginine α-Ketoglutarate, L Citrulline DL Malate, Beta Alanine, Conjugated linoleic acid (Conjugated linoleic acid, Malto Oligosaccharide (contains Milk)), Multi Vitamins and Minerals Premix (Magnesium, Vitamin C, Iron, Vitamin E, Niacin, Zinc, Vitamin A, Vitamin D, Vitamin B6, Vitamin B1, Riboflavin, Folic Acid, Iodine, Vitamin B12), Guarana Extract (Guarana Extract, Colour (Caramel), Caffeine), Grape Seed Extract, Acety L Carnitine, Choline Bitartrate, L Tyrosine, Green Tea Extract, Bacillus Coagulans, Vegetable Oil (contains Soy). Peach Tea: Coconut powder (25%), Fructose (23%), Branched Chain Amino Acid (21%) (L Leucine, L Isoleucine, L Valine), Peach Tea Flavouring (Acid (Citric Acid), Sweetener (Sucralose), Natural Flavouring), L Arginine α-Ketoglutarate, L Citrulline DL Malate, Beta Alanine, Conjugated linoleic acid (Conjugated linoleic acid, Malto Oligosaccharide)(contains Milk)) , Multi Vitamins and Minerals Premix (Magnesium, Vitamin C, Iron, Vitamin E, Niacin, Zinc, Vitamin A, Vitamin D, vitamin B6, Vitamin B1, Riboflavin, Folic Acid, Iodine, Vitamin B12), Guarana Extract (Guarana Extract, Colour (Caramel), Caffeine), Grape Seed Extract, Acety L Carnitine, Choline Bitartrate, L Tyrosine, Green Tea Extract, Bacillus Coagulans, Vegetable Oil (contains Soy). Cranberry Pomegranate : Coconut powder (25%), Fructose (23%), Branched Chain Amino Acids (21%) (L Leucine, L Isoleucine, L Valine), Cranberry and Pomegranate Flavouring (Beetroot Juice Powder, Acid (Citric Acid), Sweetener (Sucralose), Natural Flavoruing, L Arginine α-Ketoglutarate, L Citrulline DL Malate, Beta Alanine, Conjugated linoleic acid (Conjugated linoleic acid, Malto Oligosaccharide(contains Milk)), Multi Vitamins and Minerals Premix (Magnesium, Vitamin C, Iron, Vitamin E, Niacin, Zinc, Vitamin A, Vitamin D, Vitamin B6, Vitamin B1, Riboflavin, Folic Acid, Iodine, Viatmin B12), Guarana Extract (Guarana Extract, Colour (Caramel), Caffeine), Grape Seed Extract, Acety L Carnitine, Choline Bitartrate, L Tyrosine, Bacillus Coagulans (Bacillus Coagulans, Vegetable Oil (contains Soy). Apple Pear : Coconut powder (25%), Fructose (23%), Branched Chain Amino Acid Blend (21%) (L Leucine, L Isoleucine, L Valine), Apple and Pear Flavouring (Acid (Citric Acid), Sweetener (Sucralose), Natural Flavouring), L Arginine α-Ketoglutarate, L Citrulline Malate, Beta Alanine, Conjugated linoleic acid (Conjugated Linoleic Acid, Malto Oligosaccharide (contains Milk)), Multi Vitamin and Mineral Premix (Magnesium, Vitamin C, Iron, Vitamin E, Niacin, Zinc, Vitamin A, Vitamin D, Vitamin B6, Thiamine, Riboflavin, Folic Acid, Iodine, Vitamin B12), Guarana Extract (Guarana Extract, Colour (Caramel), Caffeine), Grape Seed Extract, Acety L Carnitine, Choline Bitartrate, L Tyrosine , Green Tea Extract, Bacillus Coagulans, Vegetable Oil (contains Soy). The nutritional information is based on the Apple Pear version, when choosing an alternative flavour the nutritional values may vary. 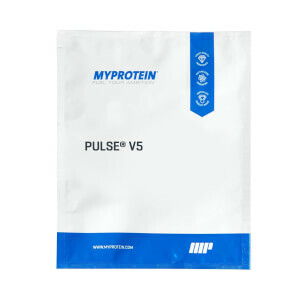 Ready to mix powder blend, with added coconut powder, fructose, branched chain amino acids powder, vitamins and minerals. Natural summer fruit flavour with sugar and sweetener. Ready to mix powder blend, with added coconut powder, fructose, branched chain amino acids powder, vitamins and minerals. Natural peach tea flavour with sugar and sweetener. Ready to mix powder blend, with added coconut powder, fructose, branched chain amino acids powder, vitamins and minerals. Natural cranberry and pomegranate flavour with sugar and sweetener. Ready to mix powder blend, with added coconut powder, fructose, branched chain amino acids powder, vitamins and minerals. Natural apple and pear flavour with sugar and sweetener.